It’s a good errands day when you can buy your beauty products at the same spot you shop for groceries, and it’s an even better errands day when you can buy said beauty products at a seriously discounted price. Cue Whole Foods’ Beauty Week sale, which will kickoff on Wednesday, March 27 and last through Tuesday, April 2. During the sale, you’ll be able to shop the store’s selection of makeup, facial care, hair care, nail polish, perfume and makeup brushes at a set 25 percent off, so if you’re into clean beauty this is a shopping event you do not want to miss. Bonus points if you’re an Amazon Prime member—you’ll be able to score an additional 10 percent off, meaning you can restock your bathroom cabinets for two-thirds of the cost it would normally run you. It pays to be shopping savvy! Excited? Good. But the best details of the sale haven’t even been revealed yet. Whole Foods will also be releasing two new limited-edition Beauty Bags in limited quantities so you’ll want to run to your nearest store as soon as Beauty Week hits. Valued at more than $100 each, they’re brimming with new and trending products, and will only run you $20 each. Whether you go for the All-Day Beautiful Bag or the Self-Care Sunday Bag is up to you based on what your skin is craving But honestly, why not go for both? Whole Foods is committed to ensuring that every beauty product they stock meets their quality standards in terms of ingredients and ethicality. None of what they stock is ever tested on animals and there’s a list of over 100 ingredients including phthalates, microbeads, triclosan, BHT, BHA, aluminum chlorohydrate, and many more that are banned from their shelves. This means you can have total peace of mind while shopping the sale and are guaranteed products that are good for you and good for the world. 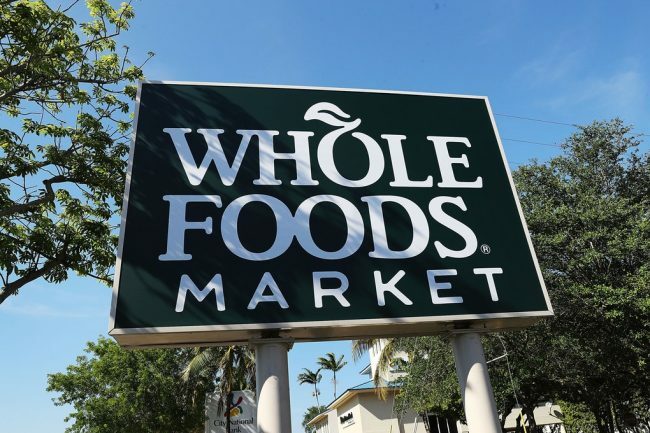 What’s more, Whole Foods has released its first-ever list of beauty and wellness trends in celebration of Beauty Week this year. The company’s global beauty buyers and experts compiled a list of five trends that they believe will define 2019’s beauty sphere and they go far beyond the lilac hair and yellow nails that other similar roundups are listing. There’s Superfood Beauty, which includes masks, body care, and hair made ultra nutrient-rich by ingredients like spirulina, avocado, green tea, matcha, kale, and functional mushrooms; Beauty from Within, which covers supplements that are geared towards healthier hair, skin, and nails; Vegan Cosmetics, which is pretty self-explanatory but mainly focuses on products that are not tested on animals; Sleep Supporters, which encompasses everything that might be part of a holistic nighttime ritual like aromatherapy essential oil blends, bath bombs, and diffusers; and Microbiome-Friendly Beauty, which is a shell term for any cosmetics or skincare brands that include probiotic-based ingredients that will help improve the health of skin.That was an eyeful but be sure to scour Whole Foods’ sale for some of the trending products mentioned above. They’ll help you glow from inside out.